We will delivery our Gazette every month, to keep you updated about the Club activities! Next Wednesday October 15th we’ll be holding the first meeting this season! 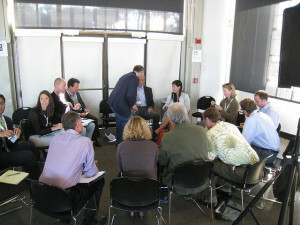 We have a very rich events programme that we want to share with you. Some of you are new, so we all have the opportunity to get to know each other better. 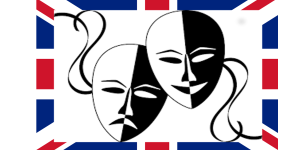 Had a lovely trial session last Wednesday at Riccardo’s Theatre workshop. The first lesson will start the 22nd of October in the Sala Pro Loco. It’s not too late to join us – there are still some places left! We need confirmation from everyone within NEXT WEDNESDAY 15th October when we will be collecting the fees at the English Club Opening meeting. The Conversation Group is dedicated to students at “Intermediate/advanced” level, so come to the trial lesson, to check out your English speaking level. For more details come at our meeting next Wednesday ! 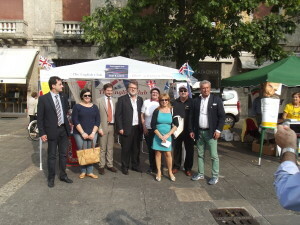 Thanks to everyone who visited us at our stand at “Festa delle Associazioni” in Magenta. We look forward to meeting you again at our meeting next Wednesday! 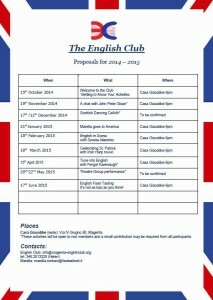 Visit The English Club WEB site, and download the next season Events calendar!